This Beldray sink caddy provides your kitchen with a handy space saving solution. The caddy has three easily adjustable compartments, making it easy for you to store away detergents, cloths and brushes to keep your sink looking its best. Measuring 24 x 14 x 8 cm, the caddy is cleverly designed with two storage hooks suitable to dry glasses and a hanging rail to store tea towels or oven gloves. 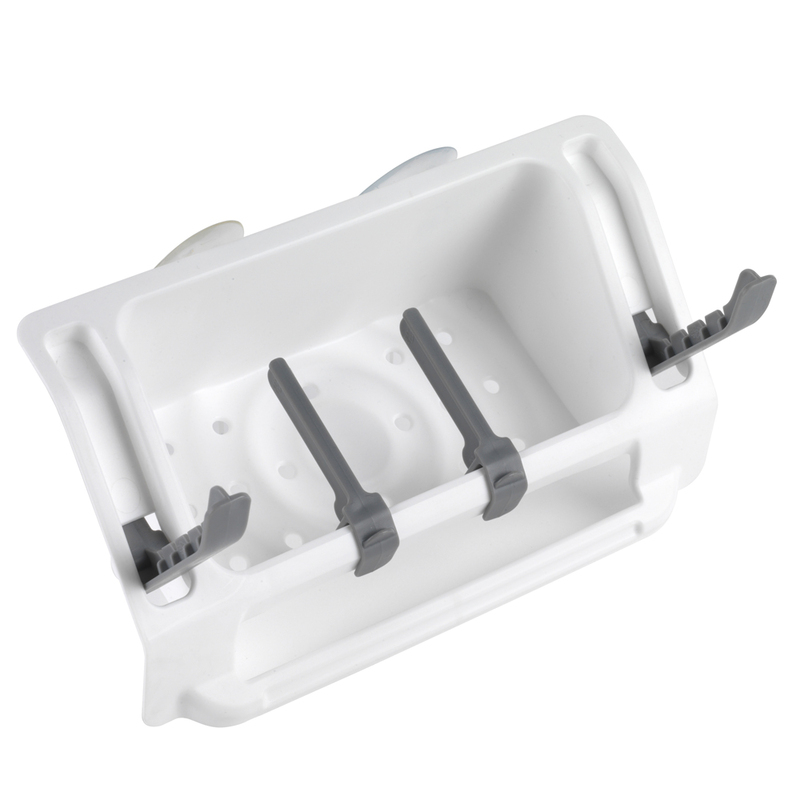 The caddy is simple to install with suction pads that securely attach the caddy to a wall near the sink. 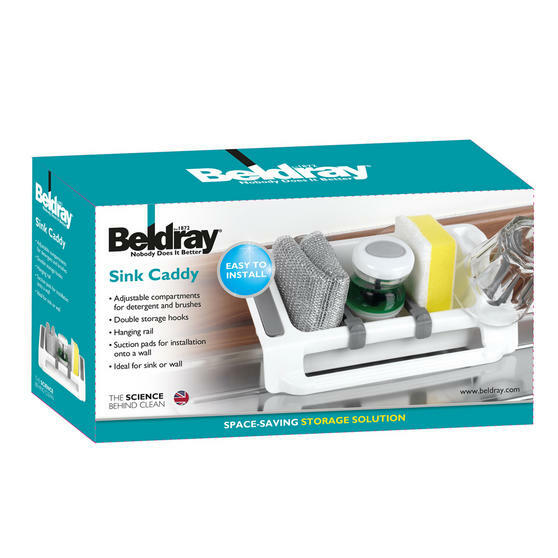 Make sure everything has a place with the Beldray sink caddy, designed to give sponges, detergents and brushes a handy storage space. 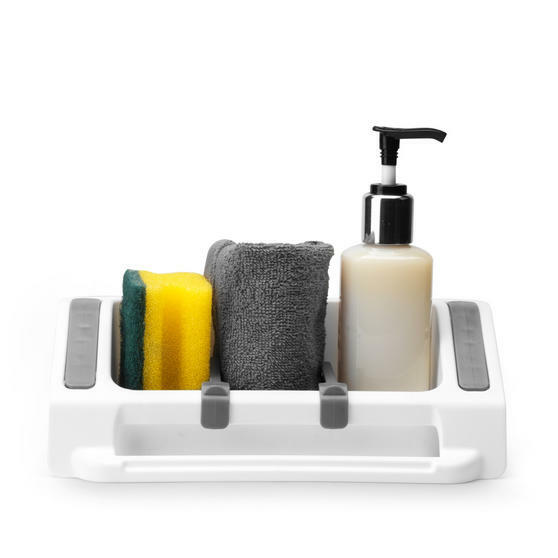 With easily adjustable compartments to store all of your washing up utensils, so you can put an end to your sink looking cluttered. 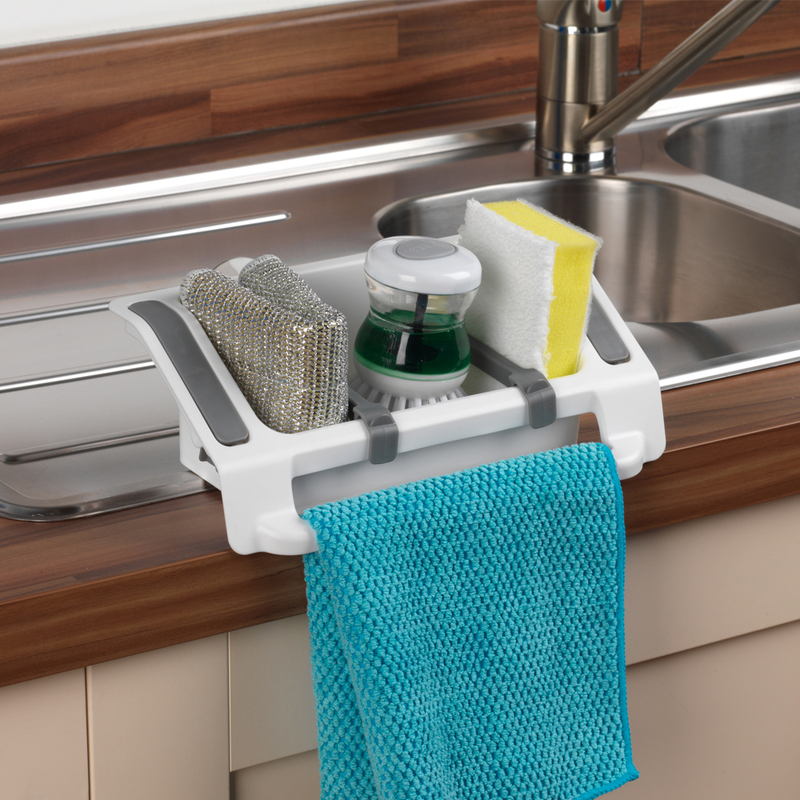 The sink caddy can be installed onto a wall close to the sink with ease so you can access your washing up tools effortlessly. 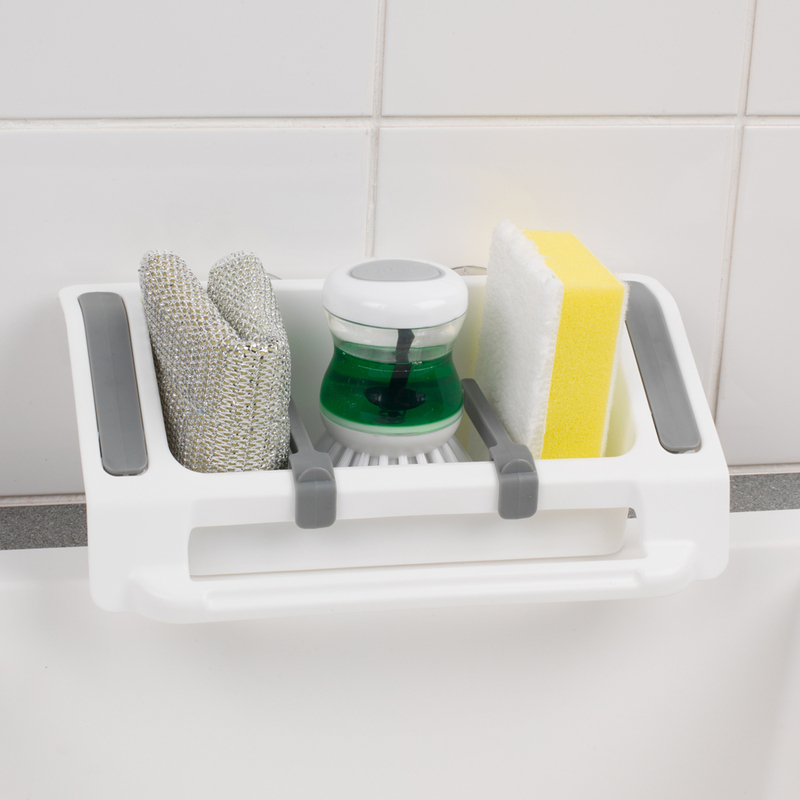 The caddy is designed with numerous storage solutions including a hanging rail, two hooks as well as the three compartments. 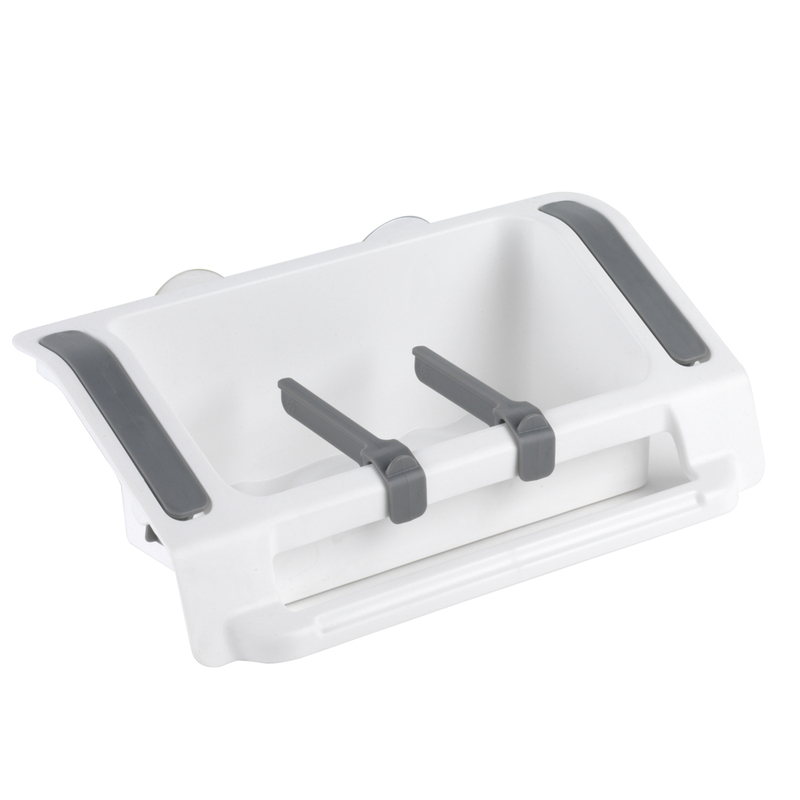 Brilliantly effective at making your sink area look tidy, the white and grey sink caddy looks great in any kitchen.